Here is another fun NCLEX Facebook page – but this one gives you daily questions! They are very random and the answer with rationale is posted usually at the end of the day. The questions are really random, so they do get you thinking. You can also scroll back through their FB page to past questions. They also have an app that has some good reviews. They offer a lite version with about 80 questions to give you an idea how their app works. (I have downloaded it and will give you some feedback.) The “full” version is $29.99 – which is a steal as they are raising their price to $39.99 according to their info on iTunes. If you do purchase the app, I would love to hear from you – maybe you could be my guest blogger – or at least give your review!! Enjoy and remember – practice makes perfect!! 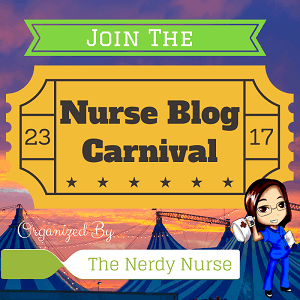 Fun Stuff, Learning Tools, Technology, Uncategorized NCLEX, Nurses, Nursing students. permalink.